Paris Masters is the ninth and last of the ATP Tour Masters 1000 series tennis events played annually at the end of October and beginning of November. The tournament is considered to be the most prestigious indoor tournament in the world, as it is a final stop before ATP Finals, and the last opportunity for players to earn points in order qualify for the last years Champions tournament. In addition, oftentimes, the end of the year’s number 1 is decided in Paris! That is how important the tournament is and how intense the matches can get. This important tournament is played in one of the most spectacular indoors stadiums in the world, AccorHotels Arena, with capacity of 14,000 people, and provides tennis fans with an opportunity to be a part of tennis battles through Augmented tennis. Becker, Agassi, Sampras, Djokovic, Federer…all competed and won in Paris! Lastl, who does not love Paris, The City of Lights? Whether you are interested in seing some of the best museums and monuments in the world, experiencing world-class shopping in Parisian boutiques, or eating authentic French croissants and crepes., you will have a great time in Paris! Ticket Resellers – Our recommended reseller sites for the Paris Masters include StubHub and Viagogo. Hotel Novotel Paris Centre Bercy – This is 1 of 2 hotels that is located right next to the AccorHotels Arena, the venue for the Rolex Paris Masters. An upscale but affordable option, this hotel is literally a 1 minute walk away from the tournament. Novotel is also owned by AccorHotels, so there is bound to be a good tennis buzz in the lobby! Hotel Ibis Styles Paris Bercy – The second hotel option located within a 1 minute walk of the AccorHotels Arena (and owned by AccorHotels) is an Ibis brand hotel. This is a more budget-friendly option, but not exactly a “budget” hotel. It has a modern, clean look, and caters towards a younger crowd. Think “staying in an Ikea”. The rooms are on the smaller side, but it is a great option in a wonderful location. Le VIP Paris Yacht Hotel – The River Seine is among the most iconic of sites to visit in Paris…so why not stay on it? That’s right, ON it. This hotel is literally a working yacht that cruises the Seine. Perhaps best suited for a romantic getaway, if you want a unique hotel experience in Paris, this is it. Le Meurice – If you are looking to go all out, this hotel is for you. Opened in 1815 and given “palace distinction” by the French government, this high-end, 5-star member of the Dorchester Collection of hotels is the very definition of the luxurious Parisian experience. This location is in the heart of Paris, flanked by the Tuileries Garden, the Louvre, and Place de la Concorde. Niepce Paris Hotel, Curio Collection by Hilton – For a more familiar option, consider this Hilton property. Set across a row of 19th-century townhouses in Paris’ 14th (district), this hotel is in a quieter location yet provides easy access to the heart of Paris. Despite being part of a big chain, this hotel has a boutique feel, with a French-inspired decor. AirBnB – There are an infinite amount of places to stay in Paris. There’s every option, ranging from hostels to budget hotels to high end chains, all the way up to literally staying in palaces. However, the best option to really experience Paris and live like a local is to visit airbnb.com and rent out an apartment. 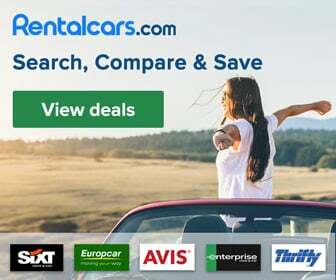 Often times it is cheaper than a hotel, puts you in unbeatable locations, and gives you the ability to cook some meals yourself with French fare you may find at the local markets. 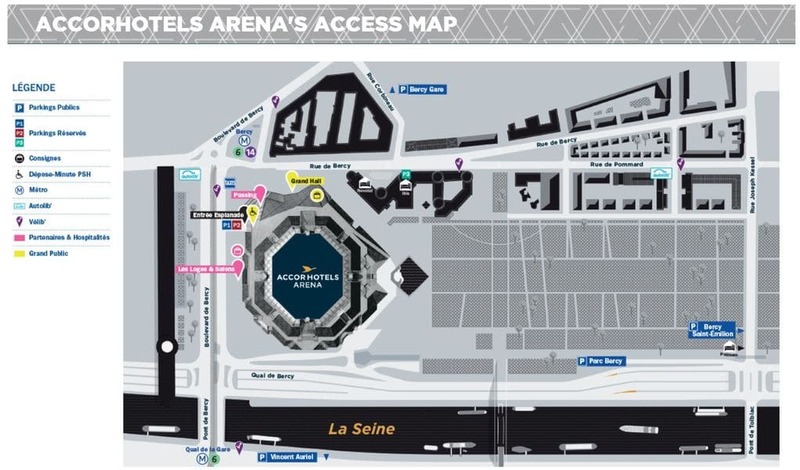 AccorHotels Arena has a capacity of 14,000 for tennis (and over 20,000 for concerts), over 3,000 m² of high-quality lounge areas and 54 loges as well as an entrance area stretching over 2,000 m² with permanent access to the city of Paris. Orly Airport (ORY) is about a 22 minute drive to Accorhotels Arena (driving North) and Charles De Gaulle (CDG) is about a 48 minute drive (driving South). Orly Airport (ORY) is about a 22 minute drive to Accorhotels Arena and Charles De Gaulle (CDG) is about a 48 minute drive.